Brewdog Cardiff | Pub Quizzers | Find a pub quiz near you, now. Find a pub quiz near you, now. 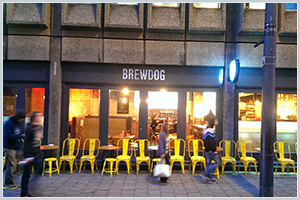 Pub quizzes take place at Brewdog Cardiff, Westgate Street on Tuesdays (weekly) at 20:00. Entry is £2.00, you can have up to 10 people on a team. There are prizes of cash, drinks. Happy quizzing! Book your table now for the Tuesday night quiz in the BrewDog Cardiff. Win BrewBucks, Beer and a CASH jackpot! Follow @CompleatQuiz on Twitter for a daily question and a clue for each quiz! Tell Us More About This Quiz! Remember to check the quiz is running on the night you are planning to go! There are no comments about this quiz. What is the capital of China?